Sleep is a precious thing, and when you’re on the road it’s just as important, if not more so, to get a full night of sleep to give you the energy and excitement for the next day of travel. Obviously if you are camping then you are going to have to figure out your own sleeping arrangements, as opposed to staying in a hotel with a comfortable bed. The good news is that there are some seriously comfortable sleeping bags out there, helping to keep you warm and comfortable throughout the night, whilst also being easy and lightweight to carry. The best lightweight sleeping bag can feel like you are sleeping on air, giving you a more comfortable travel experience overall. 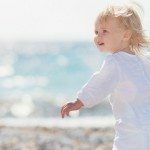 Of course, if you are traveling as a family you will also need to check out the best kids sleeping bag for your needs. Below we have reviewed some of the best lightweight sleeping bags on the market for you. 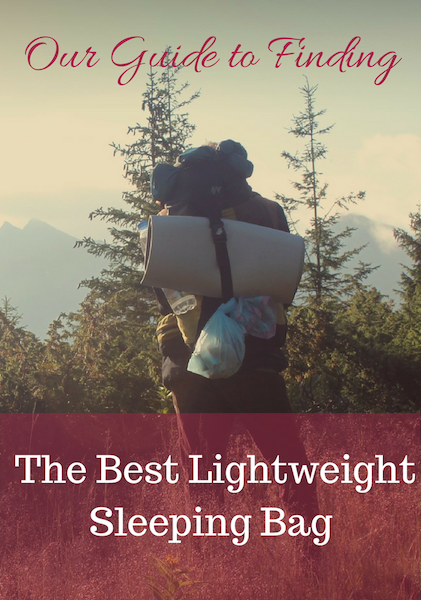 2 What to Look For in the Best Lightweight Sleeping Bag? Use the comparison chart below to find the best lightweight sleeping bag for the whole family. You will also find the top 5 lightweight sleeping bag reviews below. 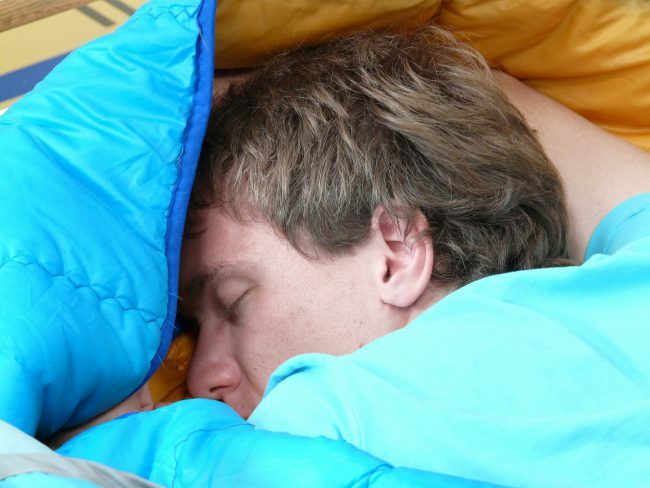 What to Look For in the Best Lightweight Sleeping Bag? Camping lightweight sleeping bags – These are often a little thicker in terms of comfort, to help give you a more comfortable experience whilst sleeping in your tent. Hiking lightweight sleeping bags – This type of lightweight down sleeping bag is often one which rolls up and can be attached to a hiking backpack, often thinner as a result. 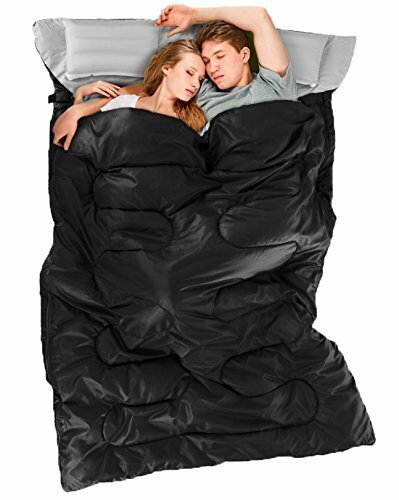 Double lightweight sleeping bags – Obviously the name gives it away, these are big enough to accommodate two people. Kids lightweight sleeping bags – This type of sleeping bag is obviously smaller, but it is also secure to stop wiggling around, and thicker to help with comfort. 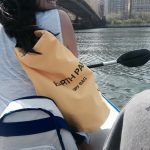 Backpacking lightweight sleeping bags – A backpacker does not need extra bulk adding to the kit they already need to travel, so backpacking lightweight sleeping bag options are exactly that – very lightweight! They also roll up and attach to the backpack, just like the hiking variety. You need to be aware of the size and weight of your particular choice, both when it is rolled up or packed away, and when it is laid flat ready for your night’s sleep. Lightweight compact sleeping bag options are on average around 2lbs in weight, and the sleeping pad, if it comes with an extra attachment, is often around 1lb in weight – as you can see, this is hardly anything! The size generally depends on what type you go for, either a kids, double, or single option. 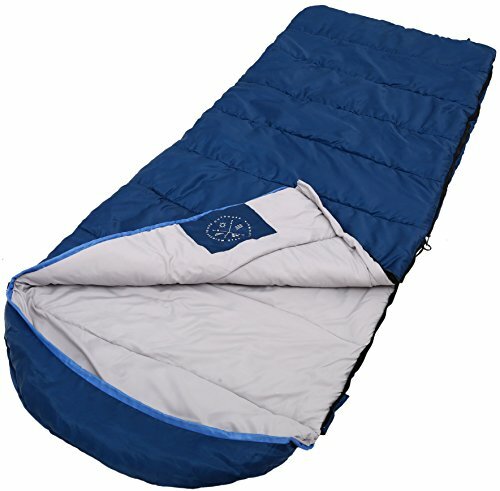 A lightweight rectangular sleeping bag will easily accommodate one grown adult in a comfortable flat position, and will also fold up very easily, or roll if you would prefer. How thick or thin you want your sleeping bag to be really depends on the circumstances you need it for, and that is where buying the specific type for your trip will come in. Generally speaking, you can choose between down filling or synthetic, and the best quality are usually filled with down material. It is the filling which creates the warmth, and the insulation within the sleeping bag is what stops the heat from escaping. The thicker the material, obviously the warmer the sleeping bag. If you’re thinking that lightweight sleeping bags aren’t going to be that comfortable when they are on the ground, that’s where you’re wrong. The down filling can be extremely warm, and the padding is designed to flatten easily on the go, whilst giving you a comfortable sleeping layer with more than enough padding. 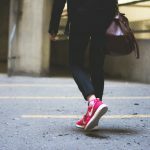 Where you are going will dictate the type of bag you’re going to need. The best lightweight warm sleeping bag is obviously going to be best for colder conditions, such as hiking at altitude, for example. 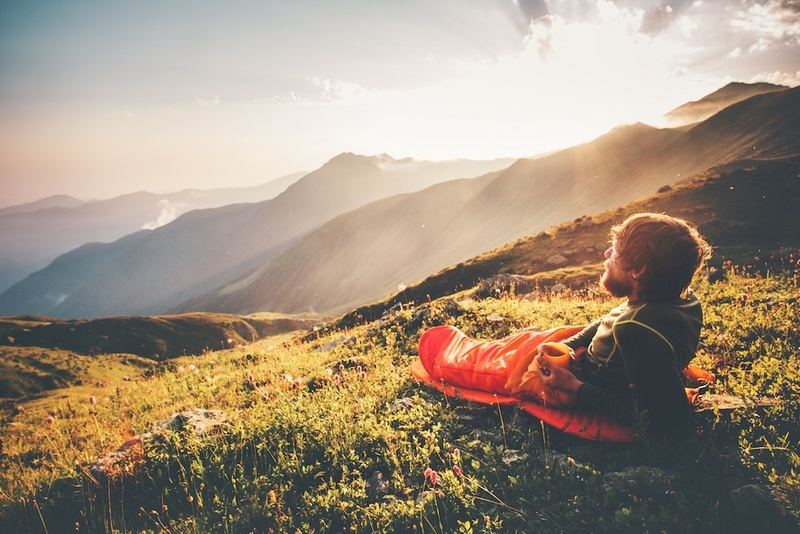 The best lightweight summer sleeping bag will therefore be best for summer camping trips, and if you’re heading out on a longer trip, which will take you through various different locations and temperatures, lightweight cold weather sleeping bag options will serve you well. Basically, you need to consider your trip before you decide. This is one of the best lightweight sleeping bags for backpacking, and it is a very stylish choice too. Available in orange and grey mix, or green and grey, this is a ‘mummy’ style which means it has more scope for various different body types. It can therefore everyone can use it comfortably. There is a hood which keeps the head or pillow off the ground when camping, and there is also an interior pocket which is hidden away and keeps keys and phones safe. The material is soft on in the inside and waterproof on the outside, and can withstand extreme weather. There is also a foot box design included, which keeps feet comfortable when lying on the ground. This is a great lightweight sleeping bag backpacking option, because it is packed with added extras, giving you extra comfort no matter what. If you are looking for the best lightweight backpacking sleeping bag, this is certainly up there on the list. Click here to read more reviews and to see the latest prices. This lightweight hiking sleeping bag comes in various different colors, which gives you the option to color coordinate your hiking gear. The material is shell, making it waterproof and tough on the outside, but the inner is certainly soft and warm for cold temperatures (even down to freezing). This product also comes with a limited 90 day warranty, which is another added bonus! The zipper is extremely hard-wearing and durable, and is easily hidden away, so it doesn’t snag when pulled up or down. There is an included storage bag which compresses the product down even further, and a drawstring hood which adjusts, to keep your head warm. The filling is also ultra warm and comfortable, made of duck down, for extra quality. There are many lightweight sleeping bags for hiking on the market, but this is certainly one of the best. 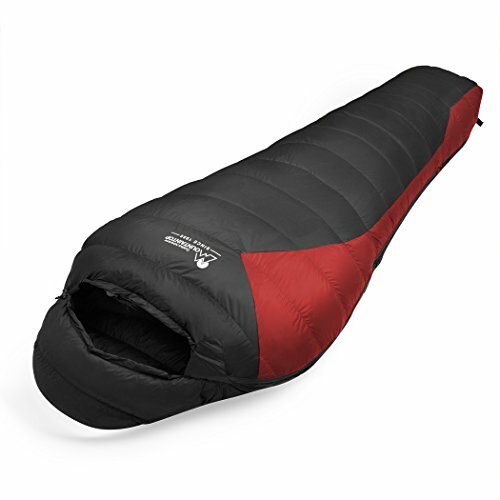 Click here to see the latest price of the Mountaintop Lightweight Sleeping Bag. If you’re looking for one of the best kids sleeping bags then this lightweight option is perfect. Available in a variety of patterns, this will certainly keep your kids warm and comfortable when it’s freezing outside, and it has many added extras too. 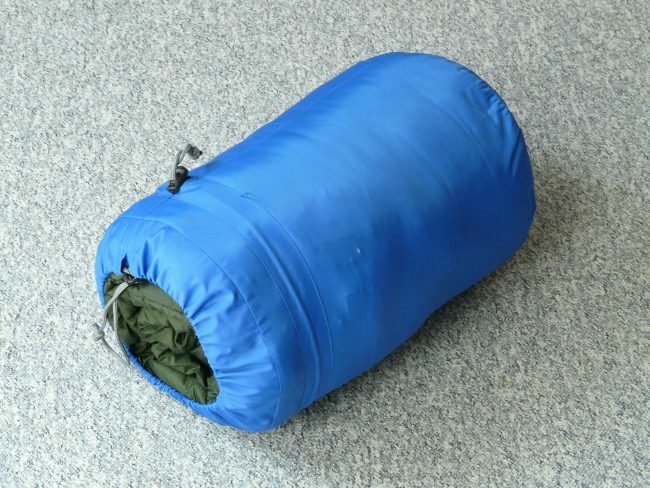 The sleeping bag has a function which keeps the bag straight when rolling it up, a design which keeps the head supported and provides a soft environment to rest upon. The ZipPlow zipper gives a snag free experience when opening and closing the bag, and that reduces the chance of ripping. As another extra, there is a hidden pocket inside for phone or headphones etc, which means your little ones won’t need to keep waking up and shouting for their things whilst you’re trying to relax too! At just 2.9lb, this is a very lightweight choice and flexible for travel or home. To read more information on the Coleman Reversa, click here. Finding the best double sleeping bags on the market are tough as they can often be too bulky for travel, but is both a compact luxurious one. High quality and warm, the outer is made of polyester shell, and the inside is 3D cotton, which gives you warmth and that ‘snuggly’ feeling when you’re relaxing at the end of a long day. One of the main features of this particular product is the fact that you can use it as a single or double sleeping bag, as both bags zip either together or apart very easily, with strong zips on either side. There are two small pillows included also, which roll up small and compact with the rest of the bag, and can be stuffed into the supplied carrying bag. You are will be protected in all weather, as low as -5 degrees Celsius, making this not only lightweight, but warm and portable too. This is a 4 season sleeping bag lightweight option, which fits anyone up to 6’6”, making it a very flexible and cost effective choice for everyone. This lightweight 4 season sleeping bag is called that because it is literally perfect for any type of weather, so you can take it on a backpacking trip, a camping expedition, or off on your hiking adventures. The fact it accommodates up to 6’6” also means it is one of the best lightweight sleeping bags for big guys too! There is a very durable waterproof shell outer, which is suitable for all types of weather, and it can also easily withstand cold temperatures with high loft insulation. Another plus point is that this particular bag is machine washable and it has an included compression sack, to further squash it all down and make it easier to carry. If you want to keep your keys and phone close, there is an included inner storage pocket. Put simply, this is one of the best lightweight sleeping bags for cold weather, for sure. 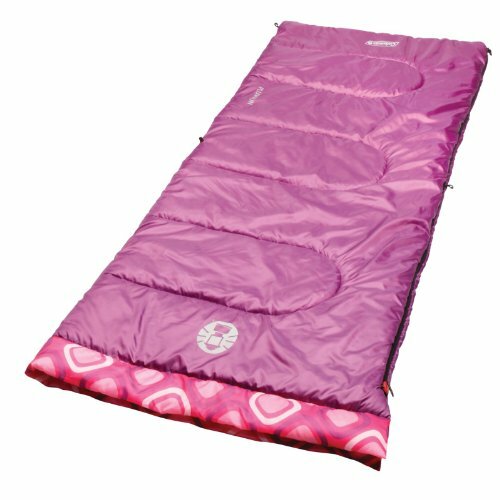 Check the latest prices and read more reviews on the All Season Hooded Sleeping Bag here. What’s your pick for the best lightweight sleeping bag? A great addition to a sleeping bag is a liner. Check out our guide to the best sleeping bag liner, as well as other product guides here. You can also read our guide to the best dry bags. Nicky is a Brit who lives in Turkey and loves to explore the world as often as she can.